The Titan X is performing quite strongly here, and is able to provide a very fast and efficient experience. 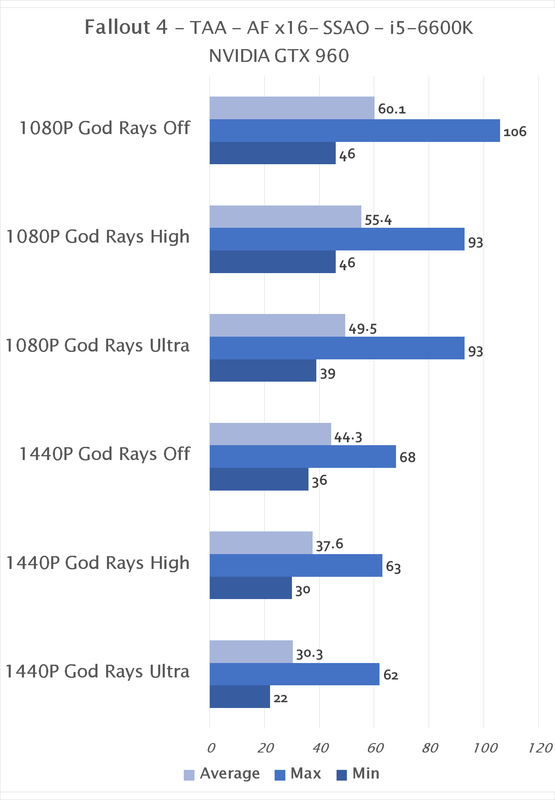 God Rays similarly have very little effect on overall performance with only an 8% decrease as a result of turning them to Ultra. The Titan X is fast and well suited to this engine. 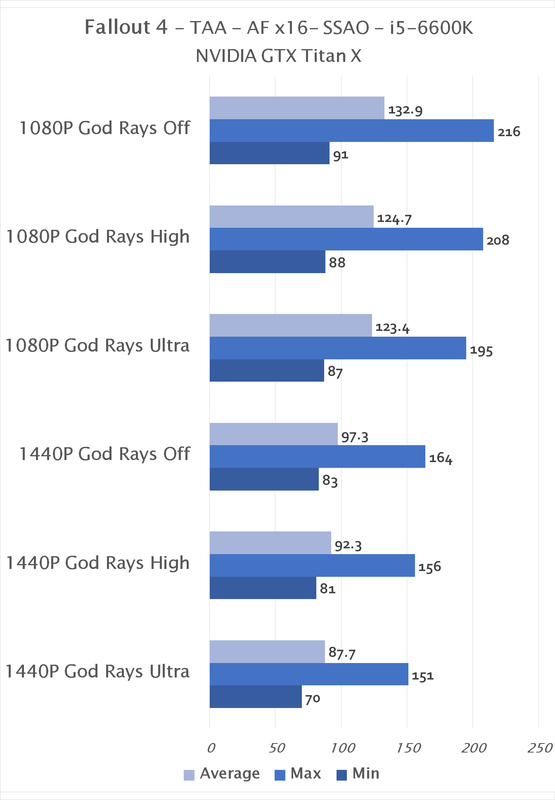 The GTX 960 does well at 1080P with a more than acceptable experience. 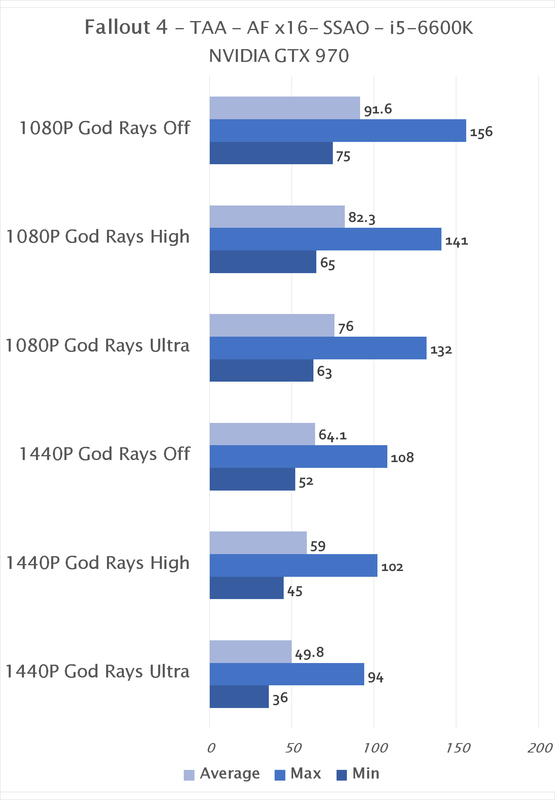 God Rays don’t reduce the performance by that many frames, though it does represent a ~20% decrease in average framerate overall. The 970 does surprisingly well here, being competitive with the Fury and certainly more than enough even compared to the Titan X.